A TROPICAL OASIS! This Estate Pool/Spa Home is on a Prime Lot in the Prestigious Community of Shadow Wood at the Brooks. This former Covington Model sits on 1/3 Acre at the end of a Cul-De-Sac w/Private Preserve Views! 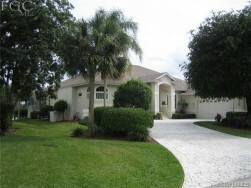 Home is surrounded by Mature Landscaping & has a Paver Dr, Tile Roof & Side Load Garage! Enter this Majestic Home thru the Double Doors into the Entry Foyer & view the Massive Greatrm w/Multi-Tray Ceiling, Columns, Tiled Floor, Crown Molding, Built-in Entertainment Ctr w/Fireplace. The Floor to Ceiling Pocket Sliders open to a Huge Lanai w/Lush Foliage & a Picturesque Lagoon-Inspired Rock Grotto–Pool & Spa w/3 Waterfalls! A Built-in Summer Kitchen w/Bar & Grill completes this perfect space for Entertaining! Some of the Many Upgrades: Granite Counters, Hardwood Floors, Plantation Shutters, Mitered & Palladium Windows, Arched Doorways, Jetted Tub, Walk-in Closets, Central Vac Sys & More! There is OPTIONAL MEMBERSHIP & LOW ANNUAL HOA FEES! Shadow Wood Boasts Multi Championship Golf Courses, Tennis Courts, Private Beach, Clubhouse, Walking/Jogging Paths & Amenity Ctr w/Restaurant, Bar, Fitness Ctr, Spa Services & Enhancement Ctr! Near Shopping, Beaches, Airport & More! 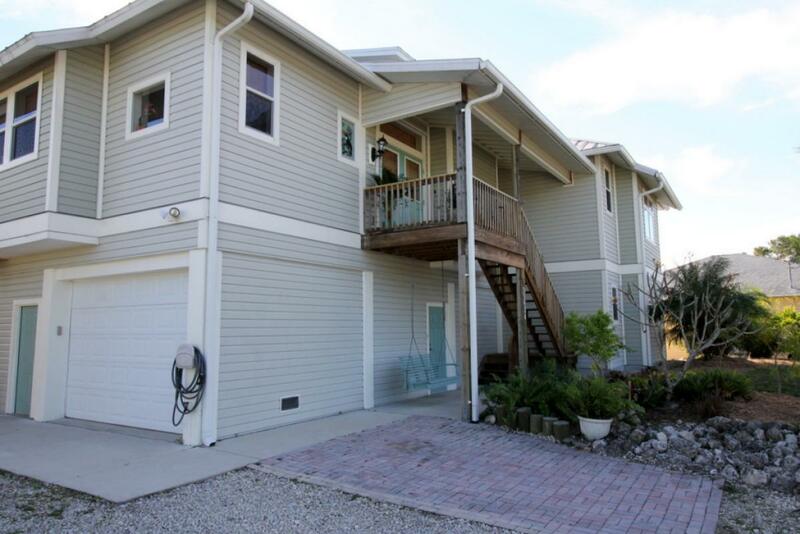 Mediterranean Style Waterfront Villa built in 2004 on a 250ft Deep Lot w/Full Land Ownership on a Gulf Access Canal! This Boating/Fishing/Walking Community is on 212 Acres & only 10 mins to the River! Single Family Living w/all of the Benefits of a Low Maintenance Condo! 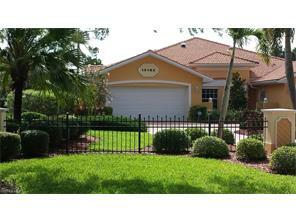 Tile Roof, Circ Paver Drive, Iron Fencing, Lg 2 Car Garage & Lush Landscaping! Foyer w/Tray Ceiling, French Doors to 3rd Bdrm, Remodeled Kitchen (2013) w/Maple Wood Cabinets & Island, Corian Countertops & Tile Backsplash, Whirlpool Stainless Appliances (2014), Lg Master Bdrm w/Tray Ceiling & Bay Windows, Dual Sinks, Bth has Soaking Tub & Sep Shower! Sep. Guest/In-Law Suite! Chair Rail Molding/Window Seat in Breakfast Nook. Solar Tube Skylts in 3rd Bdrm, Kitchen & Livingrm makes house bright & saves on Electric! Hurricane Impact Sliders on Lanai--Shutters everywhere else! Great Views of Canal thru Glass Encl Tiled Lanai & an Ext Screened Lanai! Room for a Pool! NEWER: Samsung Raised Washer/Dryer (2014), AC System (2013), Hot Water Heater (2016). HOA Fee includes Roof Replacement, Ext Paint/Pest Control, Lawn/Land Maint & Reserves! Restaurant on Premises. Only 15 mins to I-75/Downtown Ft My & 30 mins to RSW Airport! PARADISE FOUND! ISLAND WATERFRONT LIVING AT ITS BEST in the BOATING COMMUNITY of CHARLOTTE SHORES! This CUSTOM BUILD HOME is located on a quiet CUL-DE-SAC w/120ft of SEAWALL FRONTAGE & is a BOATER'S DREAM! WOOD DOCK w/FISH CLEANING STATION. Flowering Shade Trees & Mature TROPICAL VEGETATION make this an OASIS! Home has 2 FLOORS & a LIFETIME METAL ROOF/SIDING. TOP FLOOR has 2Bds/2Bths & is 1708 sf. MASSIVE DOUBLE DOOR Entry leads into Greatrm w/SOARING CEILINGS, Diningrm & lg screened PORCH & is WIRED f/SECURITY/SURROUND SOUND. Lovely FRENCH DOORS, PICTURE & TRANSOM WINDOWS thru out--many w/BEAUTIFUL HANDCRAFTED STAINED GLASS. OPEN GREATROOM has LG PLANK (3/4 Tongue & Grove) PINE WOOD FLOORING Flowing seamlessly thru out the open Kitchen, Diningrm & Mstr Bdrm w/PANORAMIC VIEWS of the WATERFRONT! Kitchen has WOOD CABINETRY, CORIAN COUNTERTOPS, LARGE ISLAND & STAINLESS APPLIANCES! Mstrbd & Bth are SPACIOUS w/DUAL SINKS & HUGE SHOWER ADJ to LAUNDRY RM. GROUND FLOOR is perfect for IN-LAW or TEEN! 2Bds/2Bths w/EFFICIENCY KITCHEN! Separate room could be used as an ART'S STUDIO. OVERSIZED 3 CAR GARAGE w/tons of STORAGE! COMMUNITY has a PRIVATE BOAT RAMP & DOCKS for the residents use. 7334 Heritage Palms Estate Dr. 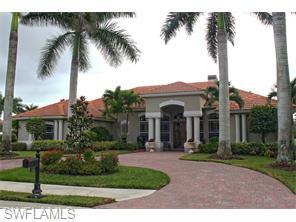 Majestic Estate Home in the Prestigious Gated Community of Heritage Palms Golf & Country Club! 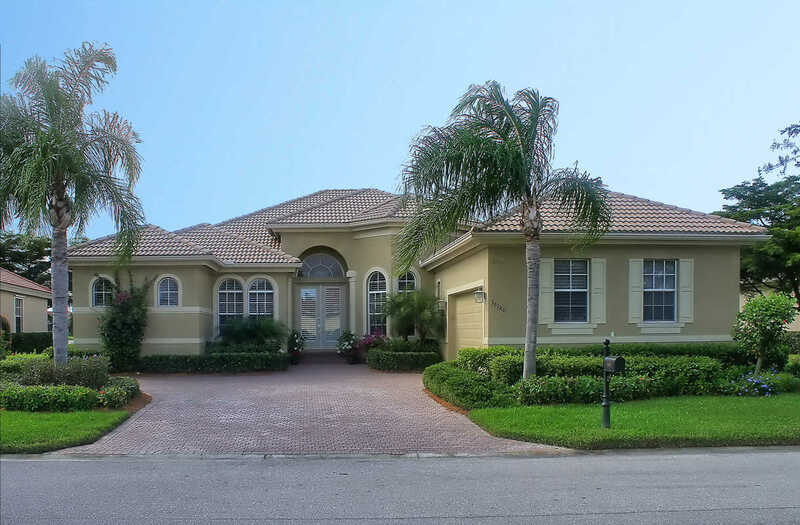 Nestled on a South-Facing Corner Lot in Heritage Palms Estates this Magnificent Home greets you w/a Paver Circular Dr, Tile Roof, 3-1/2 Car Garage, Fountain, Columns that Frame the Dbl Door Entry. This Exceptional Home has Tons of Upgrades: Gourmet Kitchen w/GE Profile Stainless Appliances–Dbl Oven/Dbl Door Refrig w/Ice/Microwave/Cook top & Bosch Dishwasher, Maple Wood Cabinetry, Corian Countertops & Butler’s Pantry, Granite Fireplace w/Built-In Shelves, Granite Wet Bar, Wine Frig, Plantation Shutters, Bay Windows w/Mitered Glass in Lvgrm & Bkft Nook, Diag Laid Lg Blk Tile, Hickory Wood Flooring & French Doors in Den, Columns in Mstr Bth w/Walk-Around Shower/Soaking Tub, Coffered Volume Ceilings, Crown Molding, Pool Bth & More! Entertain on the Spacious Covered Lanai w/Lg Htd Pool/Spa w/Rock Waterfall, Summer Kitchen & Outdoor Shower. Panoramic Views from the inside/out of the 13th Hole/Pond of the Pristine Golf Course. This is a Great Bundled Golf Community! Amenities & Location are Superb! Near Shopping, Restaurants, Schools & I-75 just minutes to Everything! Furnishings Negotiable! This Stunning Estate Home was the former Award Winning Model for the Sought-After Gated Community of McGregor Reserve! The moment you drive up to this Majestic Home you will be Wowed by the Mature Tropical Landscape, the Peaceful Covered Porch & Charming Portico! Home has a Spacious Open Floor Plan w/Volume Ceilings & sep Living & Family Rms. Tons of Upgrades: Gourmet Kitchen w/Island & Shaker-Style Cabinetry, Granite Counters, Tumbled Tile Backsplash, Wall Oven/Cooktop & Double Door Refrigerator. Beautiful Wood Flooring, Lg Block Tile on the Diagonal, Walk-in His & Hers Closets w/Wood Shelving, Custom Window Treatments & Much More! NEWER: Refrigerator, Dishwasher, Disposal, Pool Pump & Heater! Amazing Views from the Kitchen/Familyrm/Breakfast Nook/Den/Mstr Bdrm of the Large Pavered Deck w/Glistening Heated Pool & Spa, Table w/Bench/Waterfall & Fountain all on an Aqualink System! Lushly Landscaped Yard on Well Irrigation w/Avocado Tree & View of Canal! There is a separate 3rd Garage which can be used as a Workshop or Studio! Community has Lantern-Lit Sidewalks, Pool & BBQ/Picnic Area! 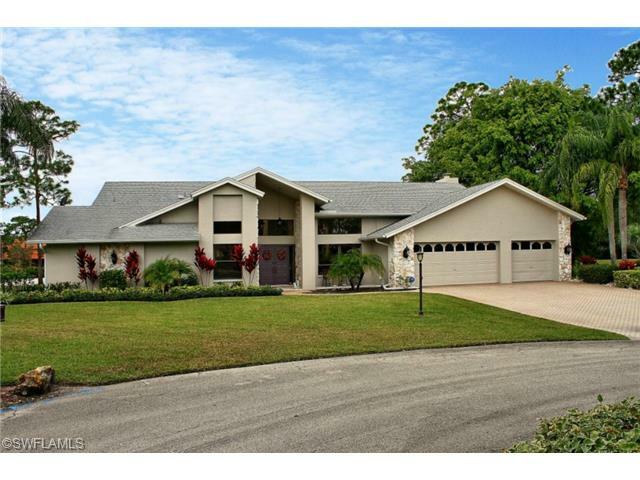 Excellent in-Town Location near Everything that Ft Myers has to Offer! This Home is Move-In Ready! 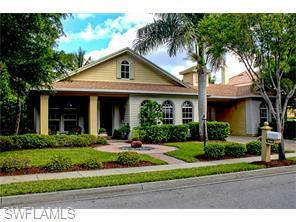 This Beautiful Totally Remodeled Home is Located in the Well-Established Guard-Gated Golf Community of The Forest. This Estate Home is on a Cul-de-sac & has one of the largest lots (just over 1/2 acre)! Majestic High Elevation w/Limestone-Accented Wall, Mature Landscaping, 3 Car Garage & Double Door Entry w/Stained-Glass Side Panels! New Everything–Mastercraft Cherry Wood Kitchen Cabinets w/Under Lighting, Soft Door Closure & High Definition Countertops, High-End Appliances, Bathroom Vanities/Counters/Kohler Toilets, Shower Doors, Wood & Lg Blk Tile Flooring, Electrical Panel, Pool Cage, Gutters, Soffit, Ceiling Fans/Lights, Thermostat, Nutone Music System, Exterior/Interior Paint, Hardware & More! Roof Replaced in 2006, Air Conditioning (1 unit in 2011 & other in 2009). House boasts: Cathedral Ceilings, Plant Shelves, Wood Burning Fireplace, Walk-in Closets & Jetted Tub. Lg Lanai w/Pool & 8 Person Spa, Huge Covered Area w/Pass Thru, SW Exposure & Magnificent Views of 17th Hole (Bear Course)! Community has a Peaceful Park-like Setting w/Winding Roads & Sidewalks, 2 Golf Courses (Membership Optional), Tennis, Restaurant & More! Location is Stellar-Near Everything! Virtual Tour! Beautiful Lakefront Home in the Well-Established Golf Community of The Forest! The moment you walk thru the front door you will be taken by the Sweeping Views of the Picturesque Lake! Crown Molding, Plantation Shutters, Recessed Lighting, Palladium Windows, French Doors, Gas Fireplace, Tile & Wood Flooring, Nutone Audio/Intercom System, Dual A/C System, Sep. Shower & Soaker Garden Tub, Dual Sinks in Mstr & Gt Bth are a few of the Many Upgrades that this Lovely Home Boasts! This home appears Newer than 1990 w/Maplewood Cabinets & Corian Countertops in the Gourmet Kitchen, remodeled powder rm w/Marble Floor & Soaring Ceilings thru-out home! 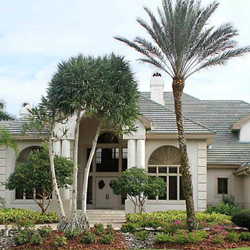 PRESTIGIOUS, GUARD-GATED, Community of the Year-Crown Colony! Tile roof/paver driveway & lanai/sideload garage/dbl-door entry/arched doorways/columns/palladium & mitered windows/Plantation Shutters/Crown Molding/floor-to-ceiling pocket sliders/9′ dbl door closets/lg block tile on diagonal/wide plank cherrywood floors/wood cabinetry/granite counter & vanity tops/10′ & 12′ volume ceilings/stainless LG appliances/designer lt fixtures & fans/recessed lighting/garden soaker tub/frameless shower. Great room concept w/a diningrm & office. All flooded w/natural light! Huge SW. exposure lanai w/lg covered area, free-form pool w/waterfall& Spa/planters, lush landscaping with Golf Course & Sandy Bunkered lined lake view. Elegant Remodeled 2nd FL Condo in the sought-after Harbour Links section of Gulf Harbour Yacht & Country Club. LAST TWO UNITS SOLD FOR $430K & $447K! 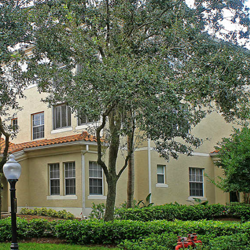 Spacious w/just under 2200sf, 2 Car Garage & Elevator that opens into the Foyer of the unit! Roman Columns leads you into this Beautiful Condo–Gourmet Kitchen w/42′ Cherrywood Cabinets, Granite Counters, Stainless Appliances, Tiled Backsplash, Island w/Wine Cooler & Breakfast Bar. Rare opportunity to own a custom London Bay Estate Home–10,000sf in the prestigious golf course community-The Forest. No expense spared-it has the look/feel of a new home! Sprawling grounds w/tropical lush landscaping. Massive stone columns & walkways. The grand foyer has marble floors & cascading chandeliers. Stately living room w/ coral columns, fireplace & 24′ ceiling w/view of 2nd fl balcony accessible from a dramatic winding staircase or elevator.